These days we're bombarded with so many messages about what to eat more of and what to eat less of and what to give up altogether, it can all get a little confusing and overwhelming. In this cookbook trusted cook, Donna Hay offers a realistic, sustainable and more balanced approach to fresher, healthier eating. Life In Balance is about embracing food and all its benefits. Each chapter in the book, from breakfast to baking, has simple recipes enriched with nature's superfoods - think leafy greens, bright fresh berries, creamy nuts and nourishing grains. 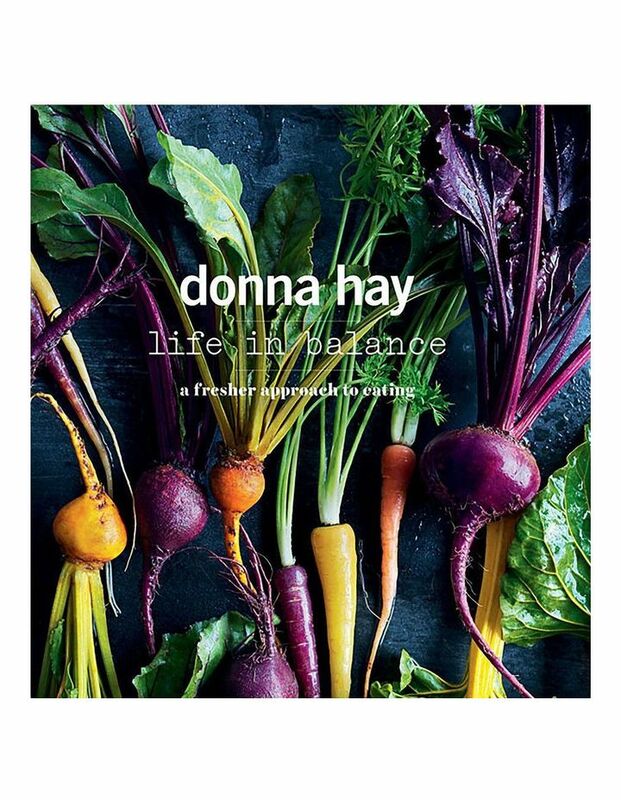 Featuring a square paperback format, tactile paper stock and stunning photography, Donna packs in a wealth of ideas and information in Life In Balance. This book contains a selection of nourishing and delicious recipes, from new ideas for power dinners to tempting grills, from super-charged breakfasts to low-carb options and because we all need the occasional treat, there's also a few yummy better-for-you sweets.